Surrounded by world renown landmarks and cities up and down the California coastline, Carmel-by-the-Sea has been a quiet and quaint town on the road less traveled along the Central Coast. UNTIL NOW! Conde Nast Traveler has just released their "10 Best Small Cities in America" and Carmel-by-the-Sea came in at #2. These rankings were produced from Conde Nast Traveler readers who are globetrotting, travel specialists. Move over Pebble Beach and San Francisco, Carmel-by-the-Sea is the new celebrity in town and proud of it. If you are a local, you are already familiar with the charm and enchantment that our town possesses with the windy stone streets, hidden boutique shops, and delightful tasting rooms to fuel you throughout your eventful day. However, if you have not had the pleasure of visiting our small yet remarkable town you must come and experience it for yourself. 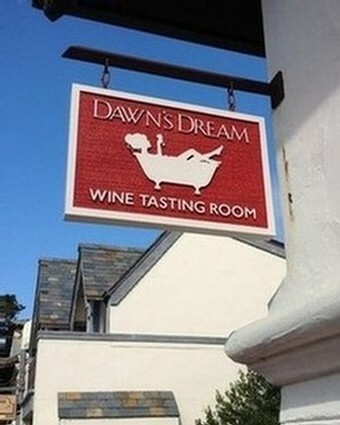 In between your beach walks and art gallery strolls, be sure to visit us at Dawn’s Dream Winery for a glimpse of why this town was not only voted #2 of America’s greatest small towns but why it was also voted as a Top 10 Wine Destination.